There is no limit when it comes to restaurant marketing. Every strategy and tool can be deployed as long as it converts to income for the food business. The best thing with restaurants is that the concepts they can use for their marketing activities are not limited to food images. The same scenario applies to restaurant stickers. Using stickers for your restaurant marketing is a good alternative to increase your restaurant’s visibility that, in turn, increases income. Here are some restaurant stickers you can use in any aspect of your restaurant such as menus, flyers, posters, and the like. Where to use restaurant stickers? 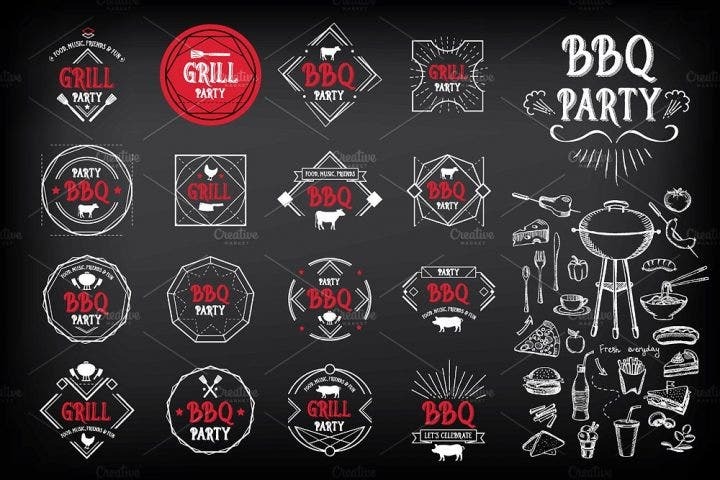 Most restaurant stickers can be purchased in online graphic design shops such as Zazzle, Creative Market, Graphic river, Etsy, and Theme Forest. Thousands of stickers can be found in these design shops. After you’ve downloaded them, the question now lies on how to use them. If you’ve already made your mind up on how you will be using restaurant stickers, note that they are versatile and can be used in any part (either the exterior or interior) of the restaurant. Note that stickers do not necessarily have to be printed and pasted on different materials. They can also be classified as digital stickers where they can be attached in website or other online portfolios. Menus are the best restaurant materials where stickers can be incorporated. They add to the menu’s visual appeal and will make customers enjoy reading the menu. If the restaurant has more of a family setting, children will definitely have a blast looking at the menu containing numerous stickers. 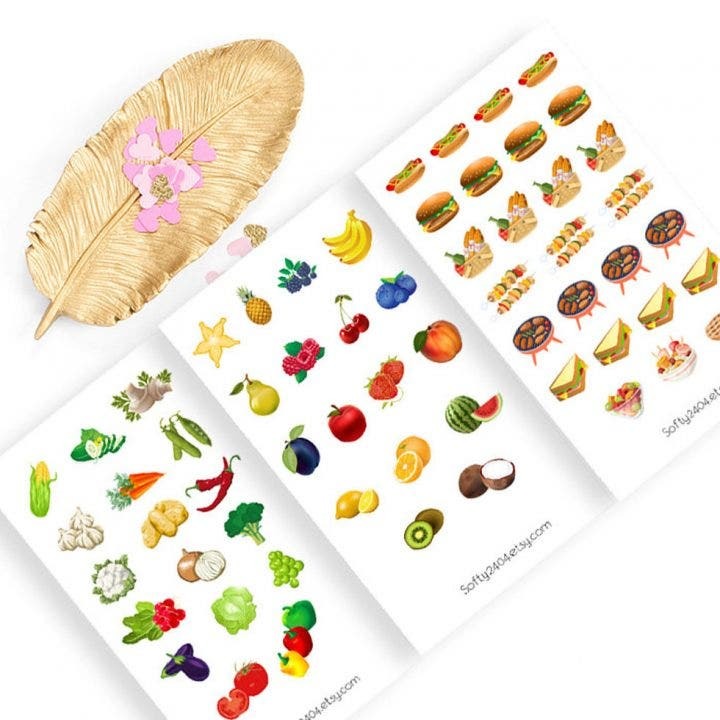 One strategy that family-centered restaurants can use to convert stickers to sales is to attach stickers that resemble images of the mentioned food. Children below 10 years old normally don’t order food for themselves, but they can convince their parents or accompanying adult to order food that resemble the sticker design. Stickers should not be placed randomly as they also have a purpose in the restaurant’s marketing. Flyers or posters are also great media where restaurant stickers can be used. Usually, flyers have minimal details so including stickers adds another layer to the somewhat plain flyer design. Posters are another story, though. They are filled with detail and color. Be careful in adding stickers to heavily detailed posters as the design will look overstuffed and confusing. For posters, try limiting the stickers to the borders or use smaller sizes as you don’t want the stickers taking the place of the poster’s main design. For flyers, meanwhile, the more stickers the better look it projects. One idea of incorporating stickers in flyers is to fold the flyer into three parts and attach the sticker in the folded parts like an invitation. This deviates from normal flyers where text and a few images are just incorporated in a piece of paper, then printed and distributed to hundreds of passersby. One of the best options to place stickers is inside the restaurant, of course. Stickers should not be placed anywhere though as they look messy and may drive some customers away. There should be a designated area in the restaurant where stickers should be placed. There are concepts used by restaurants where they have an area inside the restaurant like a section or a wall where customers can affix their signature or draw random images. 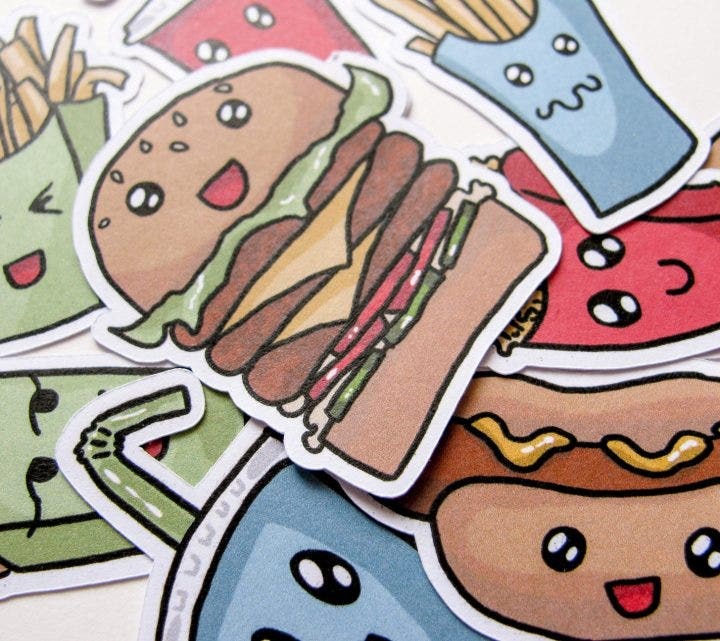 Restaurants can follow similar concepts for stickers, as they can give out stickers to customers and encourage them decorate a portion of the restaurant. This is a fun activity for customers. Stickers also add to the restaurant’s decorations. Stickers are not limited to physical copies—they can have digital versions as well. In this digital age where technology has taken control over everything, websites and other forms of Internet media have been some of the go-to tools in advertising and promotion. Add stickers to create a more attractive and interactive template in your restaurant portfolio. Stickers can be placed anywhere in your website, but probably the most appropriate page or section where it attracts the most traffic is the menu or price list section. Users visiting your restaurant’s website will ignore other sections and go directly to the menu section. This is no coincidence as they want to see if they can afford to eat at your restaurant. Use this opportunity to add food stickers and other restaurant-related designs. One option when using stickers in websites or social media pages is to create an interactive experience with the user. Aside from just incorporating stickers, try to add a bit of entertainment value and create some sort of game where users can choose from different kinds of stickers and insert them around the website. This is not a distraction as the users will be glued to your restaurant’s website. Utensils are not known to have designs embedded on them. Since they are used by hundreds of customers per day, designs tend to be washed off. Stickers can easily be placed and removed from a spoon, knife, and fork. Having stickers in utensils is a good extension to the restaurant’s concept. 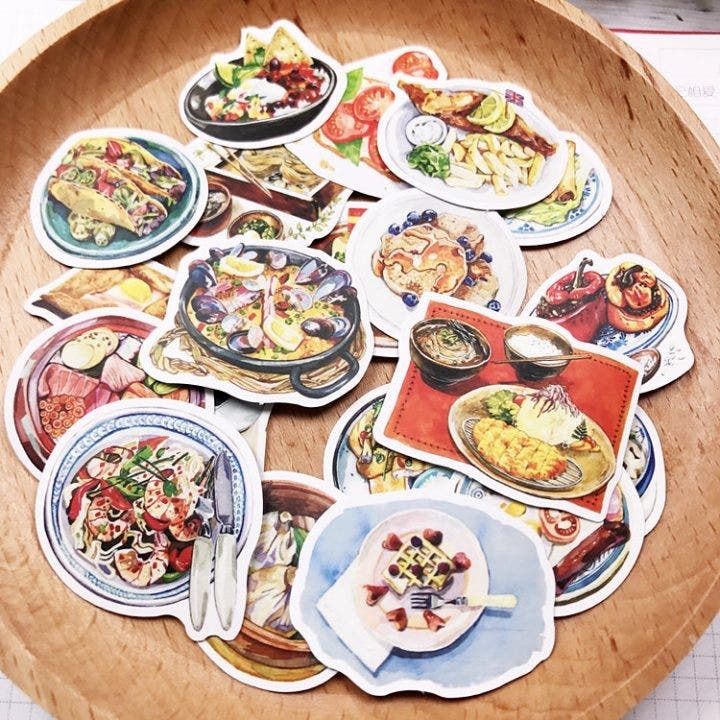 For example, if your restaurant is serving Italian food, you can have stickers resembling images of Italian favorites like pizza or pasta and insert them on the utensils’ edges. Additionally, if your restaurant has its own mascot, use that mascot for your sticker design. Stickers are always classified as souvenir items. 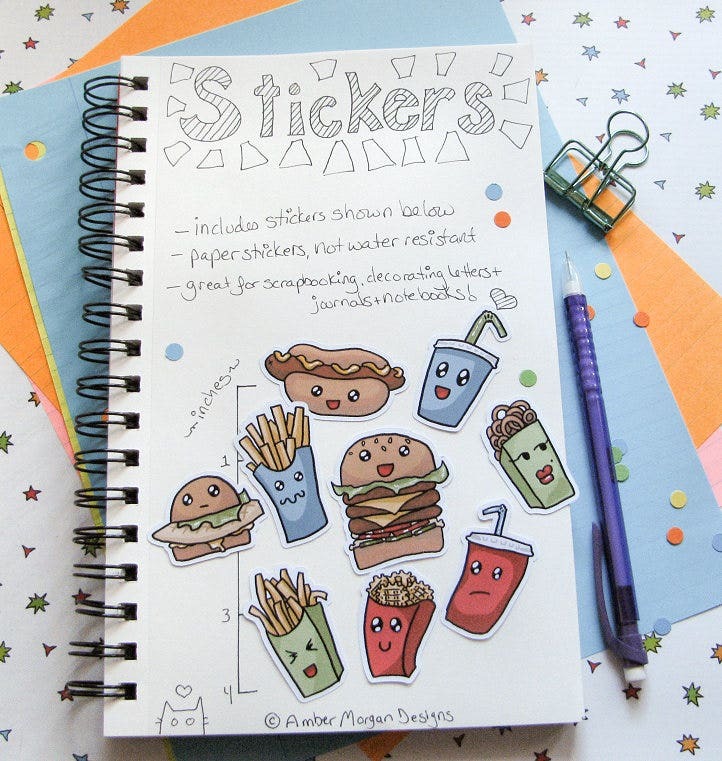 Stickers having designs of food appeal to people of all ages, kids and adults alike. The great thing about stickers is that they can be attached anywhere depending on the size. Giving out stickers to your customers ensure that they will remember your delicious food and good service. For starters, use sticker designs resembling the restaurant’s logo. 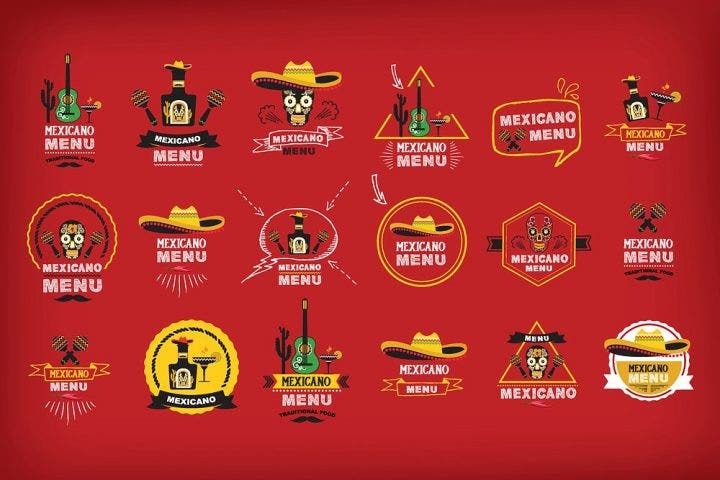 Create variations of the restaurant’s logo by using different colors or removing a few text. This collection contains 12 high quality stickers per pack. These images are personally designed by the designer, and is great for your restaurant. 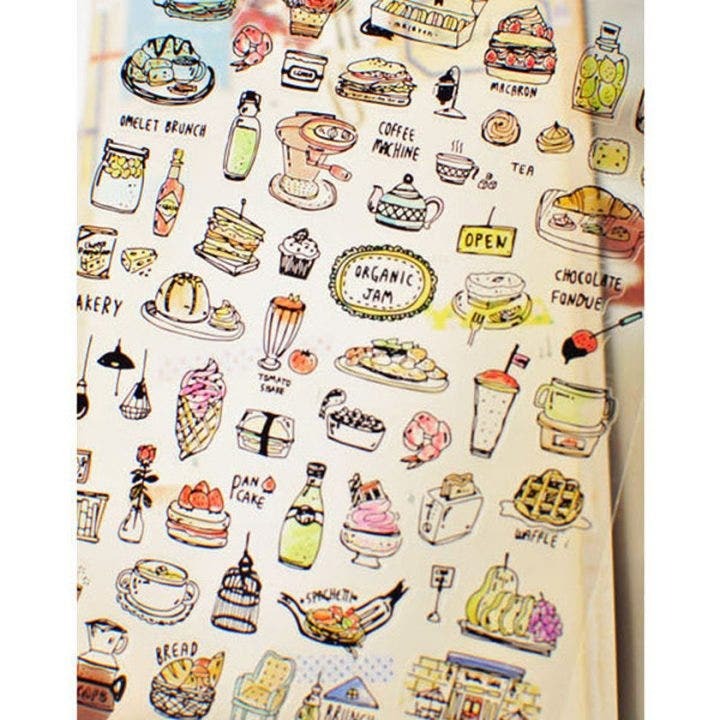 This can also be used for scrapbooking, journaling, and decorating. This pack has a total of nine stickers which range from 1 1/2 inch to 2 inches. Aside from using the pack for your own restaurant, you can also use this for scrapbooking, journaling, and decorating. 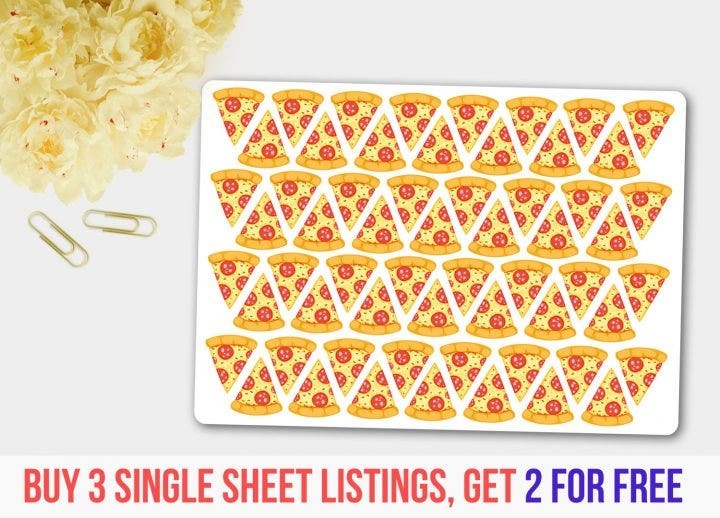 This pizza sticker pack is best used for your pizzeria or Italian restaurant. One sheet has an A6-size with matte vinyl material. 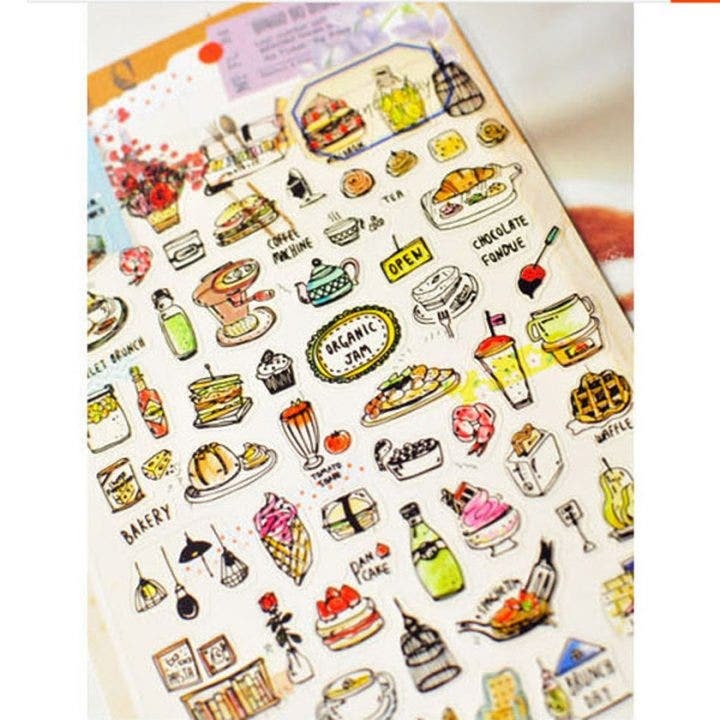 This pack contains 60 picnic or food sticker on matte sticker paper. 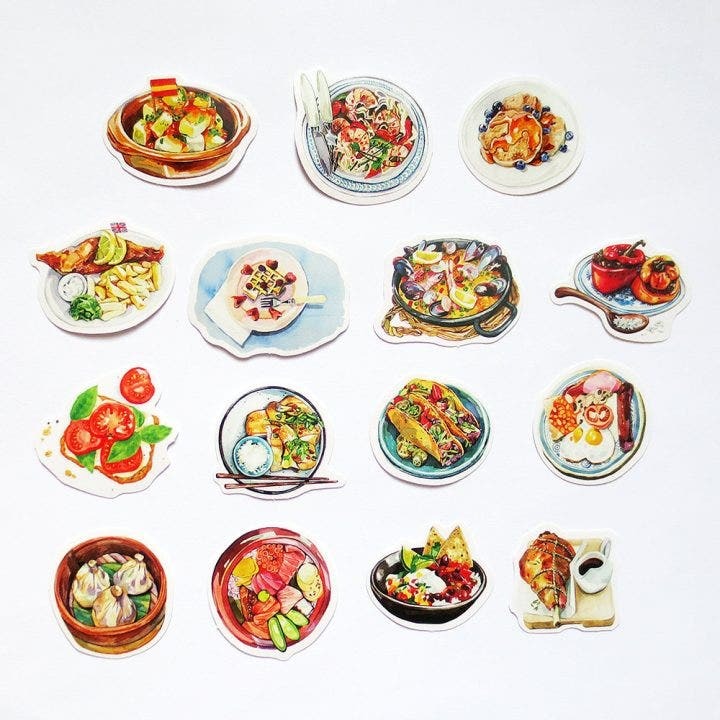 This food sticker collection has a 150 x 110 mm size. Cut them out and use them for your own restaurant. 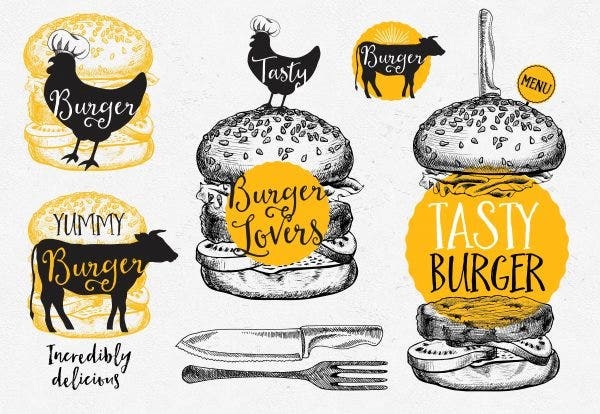 This burger badge collection is an EPS vector file with five elements. Adobe Illustrator and Corel are needed for vector editing. 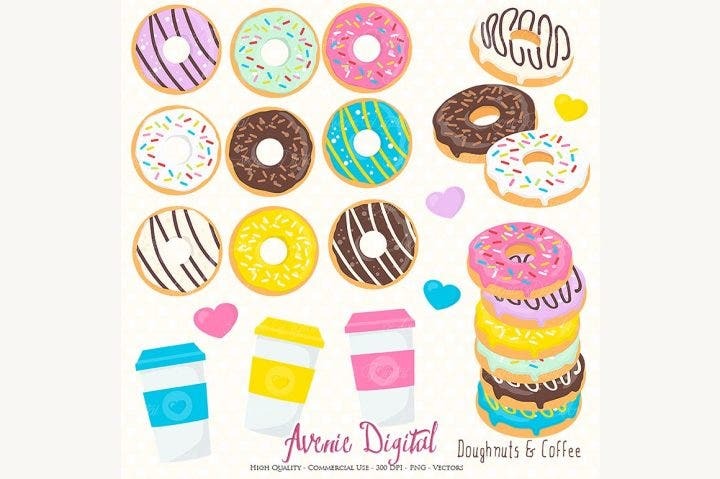 Use this donut and coffee clipart if you are selling some freshly baked donuts and freshly brewed coffee. You will receive one zip file containing 39 x 300 dpi PNG clipart with transparent backgrounds and one EPS file fully customizable in Adobe Illustrator. Similar to the other file, when you purchase this pack you will receive an EPS vector file with all the elements found in the image above. A vector editing application is required such as Adobe Illustrator and Corel. This sticker design is also made by the same designer who made the Mexican food menu design. You will also receive an EPS vector file with all the elements found in the image above. This pack contains three EPS 10, JPG 300dpi, and Adobe Illustrator files together with 24 PNG files with transparent backgrounds. When you have decided to purchase restaurant sticker designs from the ones listed above, then good on you. They are the best sticker designs around the web. But if you are still hesitant on what or where to purchase stickers, follow these tips so that you can get value for your money’s worth and also have the best-looking stickers for your restaurant. This is one of the most basic tips when purchasing restaurant sticker designs. Choose designs which match the theme of your restaurant. If your restaurant is only serving Chinese food, you obviously don’t want to have Mediterranean food stickers. Use appropriate sticker designs. 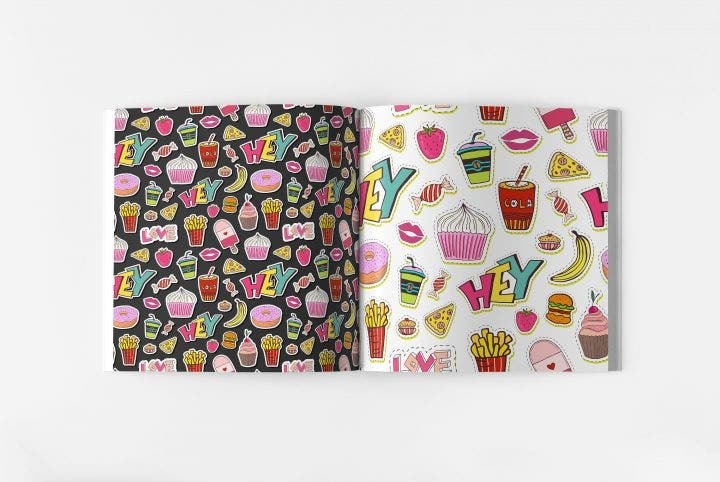 You also don’t have to limit your sticker designs to food images, as you can branch out to using sticker designs relating to the culture in which your food is based from. There are thousands of quality designs in online graphic design shops. The problem with some designs is that they are overpriced than the others despite having the same quality. You don’t have to spend that much purchasing a design especially if it’s a one-time activity or event. This is also true for restaurant sticker designs. You are not printing restaurant sticker designs every day, so choose those designs that are less expensive and use the funds for other purposes in the restaurant instead such as inventory and equipment. It is highly important that you should purchase from highly rated designers. The reason for this is so that you get your money’s worth while getting high quality designs. Highly rated designers assure you quality and constant communication. They will assist you every step of the way, from the purchase of the design, to the editing (what designs or detail will be added), to the shipping or delivery of your product. These designers don’t only assure you top quality designs but also top quality communication. Regarding the design, experienced graphic designers finish their work quickly and will send you the finished product within a few hours to a few days. To easily spot highly rated designers, filter the searches to see the top designers or most downloaded designs. In actuality, the most downloaded designs are works from top designers. Look for the rating system—the higher the rating, the better. Also, read up on some comments from users who previously downloaded the designs. If you don’t mind a single bad review from a hundred positive ones, then make your purchase. Due to numerous designs around the web, there are situations where users just purchase the best-looking design without doing enough research about the product and the designer. Although it happens rarely, there are still situations where scammers roam free and trick would-be customers. Scammers would normally use works from other designers and present these as their own, and if a user would contact them and give a full payment, they will either make a low-quality design or not make the design at all. Scammers would also overprice some products and ask for other payments aside from the payment already given by the user. So there you go, some very attractive and mouthwatering restaurant sticker designs. Restaurant stickers are great marketing tools, so take advantage of them and purchase these designs now.